An affiliate of Endurance Real Estate Group, LLC (“Endurance”) and Thackeray Partners is pleased to announce the acquisition of 2075 Loucks Road, a 174,572 SF warehouse/distribution building located in West Manchester Township, Pennsylvania (“Property”). The Property is fully leased to York Wallcoverings, Inc. a global manufacturer of residential and commercial wallpaper headquartered in nearby York, PA. 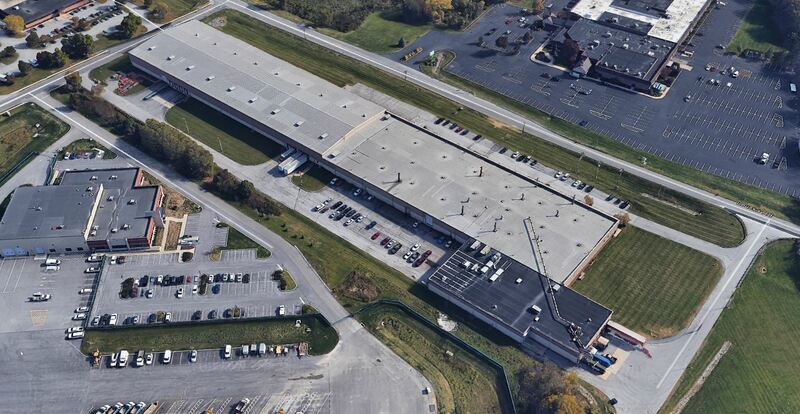 Endurance acquired the property from the former long-time owner of York Wallcoverings for $8,200,000. Rock Commercial Real Estate, LLC, represented the Seller in this transaction. Located in the Central PA region of the I-81/I-78 distribution corridor in Pennsylvania, one of the premier bulk distribution markets in the country, the Property is less than one mile from Route 30, providing easy access to the region’s most important highway systems via Interstate 83. The Property is located within a day’s drive for more than 100 million people and six of the eight largest US markets. Built in 1980, and expanded in 1986 and 1995, 2075 Loucks is a Class B industrial facility with brick and metal construction, ceiling heights up to 30’ clear, fluorescent lighting, 13 dock-high loading doors, 2 drive-in doors, and 4,000 amp, 3-phase electric service. York Wallcoverings, Inc., the largest wallpaper manufacturer in the United States, uses the facility for the manufacturing and distribution of its residential wallpaper, commercial wallcoverings, and wall decals. 485 St. Johns Church: A 453,000 SF class A bulk warehouse in Shiremanstown, PA, currently under construction anticipated to be delivered in August. For additional information see www.485dc.com. 325 S. Salem Church Road: Purchased by Endurance in 2014, a 625,000 SF bulk warehouse subsequently leased to Target, Inc. for e-commerce distribution. Sold in 2016 after building was expanded by 160,600 SF. 515 Zarfoss Drive: Acquired and renovated by Endurance in 2012, and subsequently leased to The Wolf Organization, LLC, for building products distribution. Founded in 2002, Endurance is a Radnor, Pennsylvania-based real estate owner/developer focused on income and value creation opportunities in the Mid- Atlantic region with a concentration in office and regional and bulk warehouse/distribution assets. Endurance’s current portfolio consists of 3.4 million square feet of warehouse/distribution, flex, and office assets. Affiliates of Endurance have closed on six (6) separate transactions over the last 2 years, totaling approximately 1.7 million square feet of warehouse, distribution, and flex space. For additional information on Endurance please visit www.endurance-re.com. Founded in 2005, Thackeray Partners is a real estate investment firm seeking a diversified portfolio of stabilized, value-add, and development opportunities in industrial and multifamily properties throughout the United States, with a balance of income and capital appreciation on behalf of its partners. Thackeray invests in real estate through a series of private equity funds. The limited partners of Thackeray’s funds consist primarily of university and hospital endowments, charitable foundations, and U.S. based family offices. Since inception, Thackeray has closed on joint venture and direct real estate transactions totaling over $4.6 billion, representing equity placements of over $930 million. Total investment activity includes over 190 separate transactions representing approximately 20,500 apartment units and 19.1 million square feet of industrial space. For more information, visit www.thackeraypartners.com.